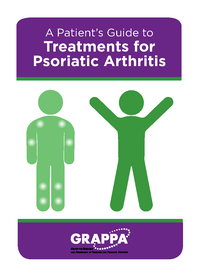 GRAPPA invites dermatology and rheumatology trainees and junior faculty (Assistant Professor level) to submit proposals to GRAPPA to fund pilot projects related to psoriasis or psoriatic arthritis. Projects can be in any branch of science: laboratory based, clinical or epidemiological. GRAPPA will provide support for up to three projects ($25,000 each) this academic year. Please submit a 3 page proposal with a short project description, 1 page budget, curriculum vitae and support letter from your Chairman or Division Chief. Submit proposals here: https://grappa.memberclicks.net/grappa-pilot-research-grants-2019 Proposals are due on May 24, 2019. Awardees will be notified in late June. GRAPPA’s 2019 Annual Meeting registration is open until June 30, 2019. All adjacent-to committee meetings are scheduled. Members may register for the meeting at https://grappa.memberclicks.net/grappa-annual-meeting-2019-core. GRAPPA (Group for Research and Assessment of Psoriasis and Psoriatic Arthritis) is organized exclusively for non-profit, educational, and scientific purposes, specifically to facilitate sharing of information related to psoriasis and psoriatic arthritis, networking among different medical disciplines that see psoriasis and psoriatic arthritis patients, and to enhance research, diagnosis and treatment of psoriasis and psoriatic arthritis. The GRAPPA app, available in Apple and Android formats, is free to download from the Apple store and the Google Play Store. Designed to be used by physicians, this app includes various calculators.